(BPT) – The value of homeowners insurance is often thrust into the national spotlight when natural disasters happen. The devastation and financial loss they can cause reinforces the importance of making sure you have adequate insurance coverage to rebuild if disaster strikes your home. In 2017 alone, the U.S. was struck by 16 separate billion-dollar disaster events, resulting in a record-breaking $300 billion in damage, according to the National Oceanic and Atmospheric Administration. Thankfully, most Americans don’t experience large-scale natural catastrophes, but millions of homeowners do experience some kind of property loss each year and need to make an insurance claim. The most commonly reported homeowners insurance claims are actually the result of events that can occur at any time, so it’s important for homeowners to be prepared for these potential risks. “Water claims are the ones we see most often,” says Christopher O’Rourke, Vice President of Property Claims at Mercury Insurance. 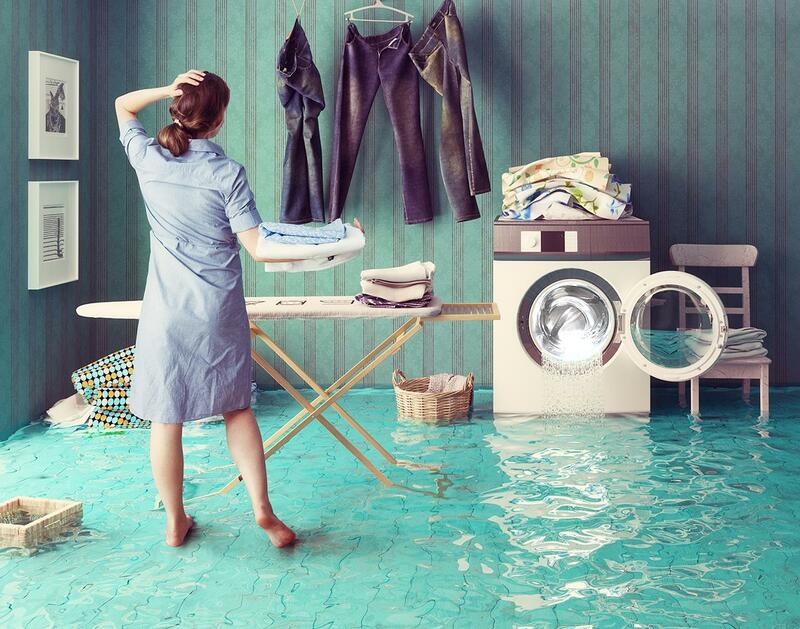 “While certain perils are seasonal, water damage can occur any time of year. It’s important for homeowners to conduct routine maintenance of appliance hoses and water pipes to make sure there aren’t cracks or leaks and, if any are detected, have them repaired or replaced immediately. Smart home technology also delivers an extra layer of protection for homeowners by providing 24/7 monitoring to help detect water pipe leaks. Professionally installed water pressure sensors, for example, work with most smartphones and can, among other things, automatically shut off the home’s main water supply if a leak or burst pipe is detected. “Most home fires happen when people are inattentive or negligent. These fires are preventable if people don’t leave things like lit stoves, fireplaces, candles or portable heat sources unattended. You should also refrain from overloading electrical outlets and using appliances with frayed electrical cords,” he says. “These things seem like common sense, but it’s amazing how many claims we see that result from simply not paying attention. Theft doesn’t necessarily pose a threat to the physical structure of a home, but it too can be costly and it often leaves homeowners feeling scared and violated. The FBI’s Universal Crime Report estimates 1.5 million burglaries occurred in 2016 – with residential properties accounting for 69.5 percent of these offenses. Homeowners can help safeguard against theft by taking simple, but often overlooked precautions like ensuring doors and windows are locked, and not leaving spare keys in easy-to-find locations. Several smart home devices can also aid in deterring potential thieves by allowing homeowners to adjust lights, monitor security cameras and activate security systems from their smartphones even when they’re away from home. This entry was posted in Real Estate on April 20, 2018 by Mike.